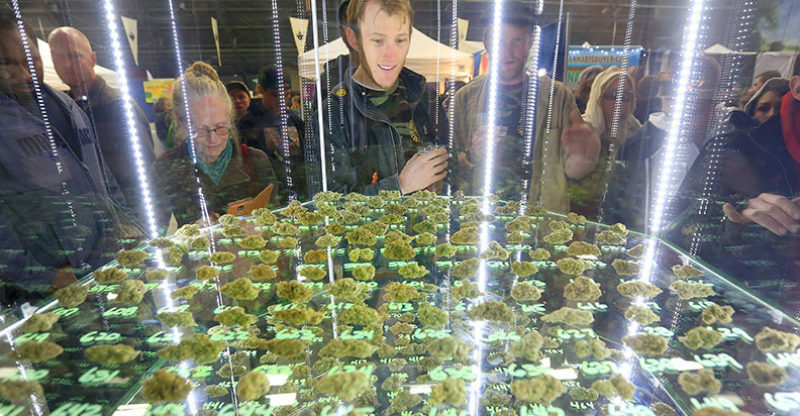 On the heels of one of the largest Northern California marijuana harvest seasons and the recent state vote to legalize recreational marijuana, the 13th annual Emerald Cup may be a bellwether for what lies ahead for the Northern California cannabis industry. The competition and festival at the Sonoma County Fairgrounds Dec. 10 and 11, 2016 brings together growers, producers, speakers, doctors, farmers, social activists, dispensaries and cannabis enthusiasts for two days of awards, cannabis products, panel discussions, art and music. But in an industry that’s long-operated in the shadows, legalization is shedding light on needed changes in safety, land stewardship and accountability. To that end, the Emerald Cup competition has created stringent rules requiring third party testing of cannabis submitted for judging — from extracts and flowers to edibles and topicals — by Santa Rosa’s SC Labs. Tainted samples with be disqualified and organizers plan to release the pass/fail results on the Emerald Cup website. Last year, it was reported that nearly one in six of the estimated 400-plus Emerald Cup entries contained pesticides, mold and other hazardous residues. It’s a problem not unique to Northern California. Colorado and Washington (who have legalized recreational marijuana) have had several cannabis recalls following state-required testing. California’s Prop. 64 outlines plans for more strident testing of cannabis products, though they are currently not required for sale. The Cup’s new requirements are hoped to encourage regional growers to maintain health and safety standards. “Each valid entry will receive a full spectrum test (microbiological, pesticide, and terpene test) from SC LABS. We’re including the Terpene testing in recognition of the extremely important role terpenes play in how we interact and are drawn towards cannabis. We’re adding the microbiological and pesticide testing for every entry to ensure our judges don’t have to partake in any medicine that could possibly harm their health,” says the Emerald Cup website. In addition to testing, the Emerald Cup is rolling out a new award for “regenerative farming”. Beyond organic, regenerative farming of cannabis looks at the entire agricultural process, from seed to harvest. That means sustainable practices that preserve the land, water and air, something that hasn’t been enforced under cannabis prohibition. For the first time, the Cup will honor a grower who exemplifies these qualities and over the next three years will require all judging applicants to operate under regenerative practices. Bands will play both Saturday and Sunday on two separate stages. Damian “Jr. Gong” Marley; Dirty Heads; Stick Figure; Tribal Seeds; California Honeydrops; Kabaka Pyramid; HIRIE; Raging Fyah; Nattali Rize; Vokab Kompany; Thrive; Arden Park Roots. An all-star lineup of panelists and discussions includes Frenchy Cannoli and Chrystal Ortiz on Appellations; Terpenes with SC Labs’ Josh Wurzer; Grower Jorge Cervantes; Therapeutic Treatments; The Cannabis Genome; Regenerative Farming and more. Anyone over the age of 18 can attend. However, you must be a medical patient to enter the outdoor medicinal area. How can I get into the medical area? The area reserved for cannabis patients requires a California medical marijuana prescription. 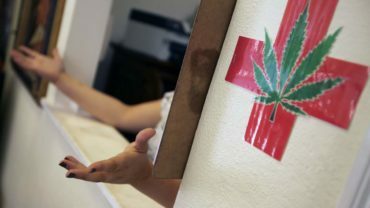 Recreational marijuana usage is still in legal limbo, so medical cards are still needed. You must also be 21 or over. Only patients with a valid California patient ID will be allowed to attend the medicinal area. Other states’ medical cards are not valid. Doctors will be onsite. Can I sample cannabis at the event? If you have a valid California prescription and are over the age of 21. Advance daily tickets are $70 each. Advance weekend tickets are $120.